Wild was nominated for an Oscar for his role in Oliver! 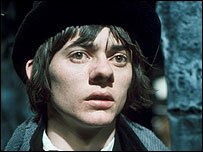 Actor Jack Wild, who played The Artful Dodger in 1968 film Oliver!, has died at the age of 53. Wild was nominated for an Oscar when he was just 16 for the role. He also starred in late-1960s US children's fantasy TV series HR Pufnstuf. He suffered from mouth cancer after years of heavy drinking and smoking and had his voice box and tongue removed. Wild's agent Alex Jay said the actor "died peacefully at midnight last night after a long battle with oral cancer". Mark Lester, who played Oliver in the musical film, paid tribute to him. He told the BBC: "Jack was like a brother to me during the making of the film and always was very protective. "I gained a lot. The chemistry between us was just something very, very special, which lasted throughout our lives." Wild was diagnosed with cancer in 2000 and was unable to speak, drink or eat after having surgery, chemotherapy and radiotherapy. He had to communicate through his wife and his meals were delivered in liquid form via a tube that went straight into his stomach. Wild recently said: "Until I was diagnosed with mouth cancer, I'd never heard of it. "What I learned very quickly was that my lifestyle had made me a walking time bomb. "I was a heavy smoker and an even heavier drinker and apparently together they are a deadly mixture." 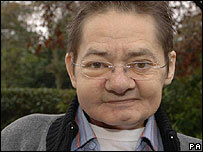 The former child star from Royton, near Oldham, made his TV debut aged 13. 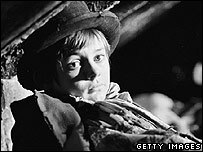 He had a string of screen credits when he was chosen to star as the pickpocketing urchin in the musical adaptation of Charles Dickens' Oliver Twist. The role saw him appear alongside Oliver Reed and Harry Secombe in one of the final films to be directed by British movie legend Carol Reed. The film's success helped Wild land the starring role in popular children's series HR Pufnstuf, in which he played a boy with a magic flute on a psychedelic island. The vivid and outlandish stories and imagery led to a spin-off film, Pufnstuf, in 1970. But his acting career failed to take off and his TV and film roles became patchy in quality and frequency as the years progressed. He said he spent the "70s and 80s in a drunken haze" but had been sober since 1990 and returned to screens with a small role in 1991 film Robin Hood: Prince of Thieves. He was reunited with Ron Moody - who played Fagin in Oliver! - in independent film Moussaka & Chips last year. The actor's agent Alex Jay said: "He said he wanted The Entertainer played at his funeral, because he always saw himself as an entertainer. "We had lots of work lined up for him this year, it's very sad. "He was working really hard on his autobiography, which was almost finished, and he had great plans for that. "He always looked at the positive side of things. He always looked at the sunny side, despite all the things that he had been through. "There was always a next day. He always got on with it. He wasn't one to sit back. "Even in his drinking days, he was always very careful about being photographed with a drink or cigarette in his hand because he didn't want to encourage young people."